You've probably heard of the digital currency bitcoin. The notoriously volatile currency is regularly featured in the news as the value of a single bitcoin swings between $20,000 and $8,000 and major financial institutions declare that its time is up — or else that it will transform the way money works. A number of regulators around the world are beginning to lay down a framework for governing (or banning) bitcoin. Our handy guide is here to help you decipher exactly what bitcoin is, and whether you need any. Bitcoin is a digital currency — a virtual form of cash — that allows users to make anonymous payments online. Bitcoin transactions are validated by a vast network of computers, instead of banks or governments, making it a decentralized form of money that many have hailed as a privacy-friendly answer to corporate banking and a recession-proof alternative to inflationary currencies. Computers track and encrypt bitcoin transactions in a process called mining, saving the data in a record called a blockchain. New bitcoins are created in the mining process. The bitcoin blockchain is a public ledger of every bitcoin transaction between any two parties. Because it's constantly validated by thousands of computers, this ledger is said to be virtually incorruptible, as a hack would need to outstrip the combined processing power of every computer working on the bitcoin blockchain. Bitcoin was designed to transfer sums of money between two strangers without the need for an intermediary to verify the validity of the transaction. This means you can pay another person directly online, without having to provide identifying details such as a PayPal account or credit card information. Because of bitcoin's ability to facilitate anonymous purchases online, nearly half of all bitcoin transactions are associated with illegal trade (think the type of black market activity found in the murkier dark web of the internet). 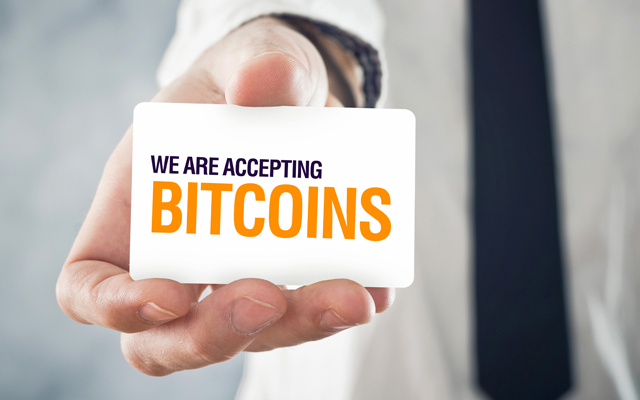 Mainstream retailers from Microsoft to Expedia are opening their registers to bitcoin. In theory, bitcoin could become a viable way to pay for things online without leaving the same type of trail a credit card leaves — and without adding to the in-depth profile advertisers have of what you like, buy and search for. Its meteoric rises and falls have even put bitcoin on two major stock exchanges, as U.S. regulators approved derivatives trading on bitcoin futures and swaps (but not direct ownership of bitcoin itself). What's the catch with using bitcoin? The growing numbers of people transacting in bitcoin has slowed down the bitcoin network, as it struggles under the processing load. At points, this has increased transaction times from a few minutes to more than a day and raised transaction fees, making it a rather costly way to pick up that bitcoin bucket of KFC. "Bitcoin was not designed as an everyday currency," says Lawrence H. White, economics professor at George Mason University and an expert on monetary policy. "As it stands, it's useful for occasional peer-to-peer remittances without the need for third-party verification." New payment processors such as Lightning promise to increase the capacity for bitcoin transactions, which could facilitate the use of bitcoin for smaller purchases. That said, bitcoin isn't a popular medium of exchange at the moment, partly due to its "lack of a killer app," says White, which keeps the number of bitcoin spenders below a critical mass that might help keep its oscillating value steadier. "The volatility of bitcoin had been declining before last year's spike, but now it's as high as it's ever been," White says. "The more people use it as a medium of exchange, the more you would expect that to calm down — but people are not keen to hold on to bitcoin as a payment method because it's so volatile, so it's a bit of a chicken-and-egg problem." Financial institutions are also making it difficult to get bitcoin in the first place — Citigroup, Bank of America and JPMorgan Chase are among the major U.S. credit card issuers banning purchases of bitcoin and other cryptocurrencies from known exchange platforms, making it harder for first-timers to enter the bitcoin market. That depends on your appetite for risk. This hyper-volatile currency rose by nearly 1,400% in 2017 (before crashing to its current, relatively modest $8,400 per bitcoin) — fantastic if you bought some a few years ago; less so if you bought at peak value. "Nobody should put the large share of their retirement savings into bitcoin, but it does diversify your portfolio," White notes. There's also the fact that around 1,000 people are thought to hold 40% of the bitcoins in circulation, which would make it possible for these big money players to manipulate the value of bitcoin — just as a Tokyo bitcoin holder caused a slump by selling $400 million worth of bitcoin. Unlike with real-world — government-supported — currency, there's no guarantee that bitcoin will have any value in the coming years (or that it won't). Many banks have denounced the "bitcoin bubble," suggesting its market will collapse and the value of a bitcoin will fall to zero — though White doesn't predict that will happen. No. The scale of the computing equipment needed in the mining process to create new bitcoins is unfeasible for the average person, and the vast amounts of electricity consumed are unlikely to make it worth your while. When the first bitcoins were mined in 2009, a personal computer could have turned out a couple of hundred bitcoins in a few days. That's no longer possible, due to the escalating difficulty of the mining process, which requires increasingly more computing power as the total number of bitcoins created approaches its supply cap of 21 million. Today, 80% of bitcoins have been mined and miners need customized rigs designed to do nothing but solve blocks of bitcoin problems. As an individual miner, you'd usually join forces with a pool of other miners, but this involves fees that cut into your profits. First, you'll need a place to keep your bitcoins — a wallet. This wallet is a string of text that people can use to send you bitcoins. It's a bit like a bank account number; the only difference is that it isn't linked to any identifying information about you. Signing up for a wallet is as easy as signing up for a new email account. All you need is an email address to receive a verification link. Wallets (that is, the strings of text identifying your bitcoin holdings) can be held online, offline in "cold storage" hardware such as a USB stick or even on paper (this more complex method involves a piece of paper with a QR code that, when scanned, offers access to an online wallet). Keeping this wallet ID safe is critical — several billions of dollars' worth of bitcoin is estimated to be lost through losing access to wallets, whether by throwing them out or misplacing details. Blockchain is a popular, free wallet with 15 million users. It can be accessed via a web browser as well as Android and iOS apps. Unlike many others, it doesn't require identification details (although you'll be encouraged to add some to facilitate account recovery). Because there's always the possibility that a wallet can be hacked (like any other online account), if you intend to keep a large amount of bitcoin, it's a good idea to store most of your haul in a cold-storage wallet. Ledger Nano S is a hardware option with wallet software on a USB stick that keeps your bitcoin safely offline and can plug into a computer to send or receive bitcoins instantly. A backup and recovery sheet contains your wallet details, so if you lose the stick, your coin is safe. Available for $98.99 at Amazon. The easiest way to score some bitcoin is to head to a bitcoin exchange site, of which there are dozens, based around the world. Bitcoin exchanges are a platform for buyers and sellers of bitcoin to conduct transactions, for a fee. San Francisco-based Coinbase is one of the best-known exchanges, and allows transactions between bitcoin and your local currency, cashing out to your bank account or debit or credit card (if you use a bank that doesn't ban cryptocurrency purchases). You can also trade in two other digital currencies — ethereum and litecoin — as well as sign up for a Coinbase wallet for seamless trading on its exchange. If you live in the U.S., you might want to choose a U.S.-based coin exchange to avoid foreign transaction fees from your bank. You'll find that the value of a bitcoin varies somewhat across exchanges — this is due to the different demand (from would-be buyers) and supply (from users holding bitcoin) on each exchange, and varying transaction fees. There is also a small number of bitcoin ATMs — about 1,600 in the U.S. at press time — where you can withdraw cash from your debit account to a bitcoin wallet or deposit cash as bitcoin (in other words, buy bitcoin). You might have spotted a seeming contradiction above — how anonymous is using bitcoin if a wallet ID can be linked to a real-world bank account? The answer is that bitcoin transactions often can be traced back to identifying details, especially as more third-parties require credentials — such as wallet providers and coin exchanges — spring up in its nascent ecosystem. Because all transactions are public in the bitcoin blockchain, it's also possible to track the payments made and received by a particular wallet and build a profile based on where bitcoins are spent, especially if they happen to be spent at a real-world retailer or cashed out to a bank account. Researchers at Princeton University found that the data leaked through cookies and trackers by web retailers about bitcoin transactions could be sufficient to link the transactions to buyers' information such as an email address. Bottom line: Bitcoin is not 100% anonymous, though the use of anonymous browsing tools can protect personal information when spending bitcoin. There are definitely concerns about the security of bitcoin holdings. Hackers have attacked major bitcoin exchanges such as Bitfinex and Mt. Gox, making off with millions of dollars' worth of currency, leaving users bereft with no institutional backup. As more people have been getting in on bitcoin — and other cryptocurrencies — there has also been a rise in attacks on investors' wallets. For example, there have been phishing attempts for login details and a particularly virulent phone-porting scam to try and gain control of users' cryptocurrency accounts. It's imperative, therefore, to use a bitcoin wallet that requires at least one offline means of logging in, making it more difficult for online thieves to hack. 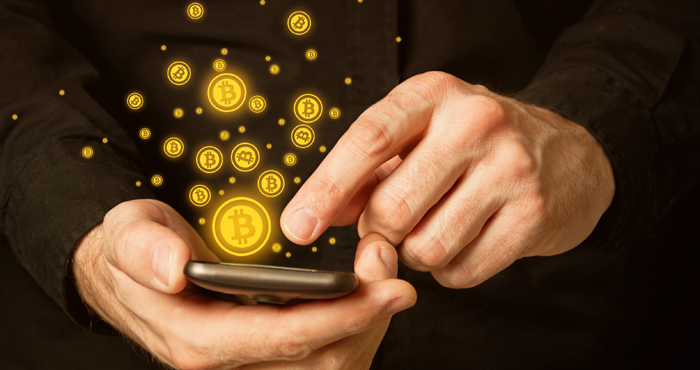 "Before trusting a bitcoin wallet with my bitcoins, I'd make sure it offers good encryption with second-factor authentication," says Sophos senior security advisor Chester Wisniewski. "The less convenient it is to access, the more secure it generally is." Central banks around the world, including in the U.S., have floated the idea of a government-backed digital currency — but it's early days for bitcoin and other cryptocurrencies in the eyes of the Federal Reserve, which noted that there were technical and privacy issues to overcome. "Bitcoin is not yet a money in the standard sense of a commonly accepted medium of exchange — you can purchase a pretty limited set of things with bitcoin at present," White says. "There is acknowledgment that the technology is remarkable and has potential uses, but it is too soon to tell whether further advances can make bitcoin a more user-friendly, everyday currency." This is a nice post.It has a good tip here. Thank you for sharing.